Optional Features : Manual override, mounting bracket. 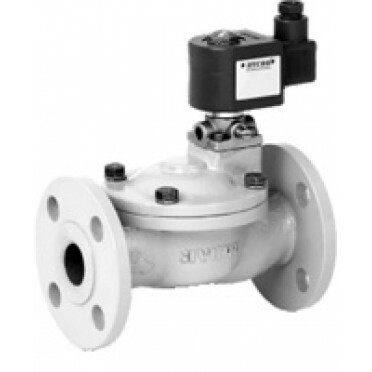 Sales Point : Most reliable, maintenance free, on-off valve in our range. Application : Chemical, textile, cement, machinery, combustion equipment, air dryer, cleaning equipment and others. Not suitable for steam duty. Note : Use of filter in the inlet side is highly recommended. Features & Specification :2/2-Way Direct Acting, Solenoid Valves, Normally Closed, Energised to .. Features :High Performance, full bore construction, Anti-static design.2 piece valves with solid des.. Features :Bubble tight shut off.Suitable for vacuum upto 10-6 torr.Vibration resistance upto 9g.Moun..